The new apple ipad have got record market. apple 30 lakhs new ipad saled in 4 days by 10 countries. apple company says Instantly apple new ipad comes in other 24 countries. Now new apple ipad sailing only in 10 countries – Brittan, USA, Canada, Germany, France, Switarland, Hongkong, Singapore, Australia, Japan. The earlier apple ipad record is 3olakhs per 1day. 4G support, 9.7inch retinadisplay and more features are in new ipad. And A5 processer also in new ipad. 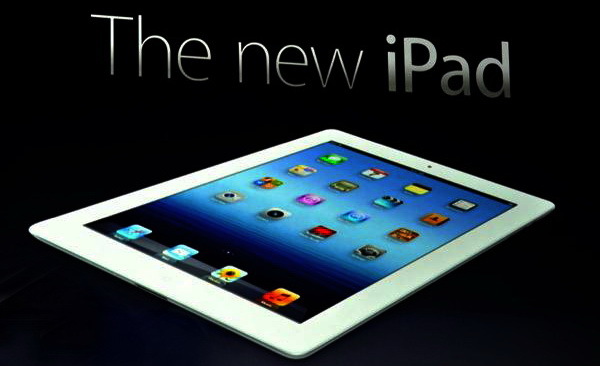 This feauters are new apple ipad’s winning reason. Apple company says new ipad have got a good place in market. We expect that apple new ipad comes in india quickly.